The Braves and Julio Teheran had a sneak attack for the Mets and Jacob deGrom on Sunday Night Baseball. Atlanta took down the game 7-3. 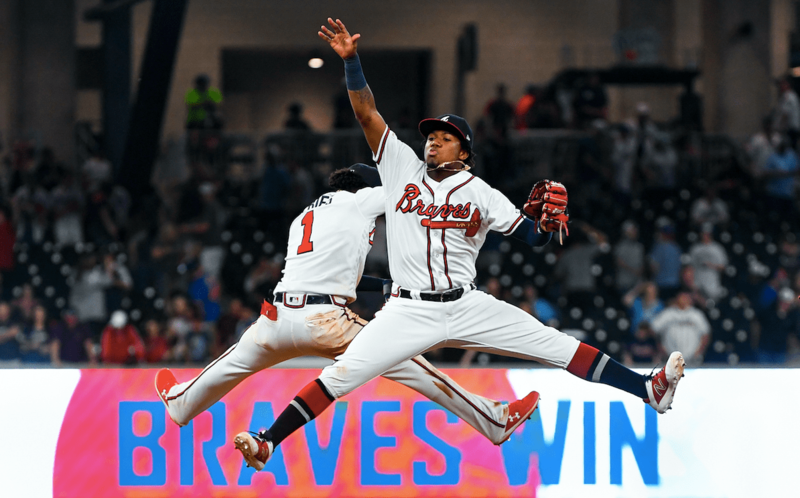 Ronald Acuña Jr., Ozzie Albies, and Ender Inciarte all stole bases. Acuña did his usual, knocking in a run and factoring in; he’s slashing .302/.431/.642 on the year without really getting hot yet. ESPN gave mention on the telecast (Hank Aaron was in the booth) that Acuña’s chase rate is so low, he could continue to really hit for serious power because of his ‘eagle eye’. Overall, I don’t see the Braves hanging around for the long haul this season due to lack of pitching in the bullpen and starting rotation. However, their talent up and down the lineup is undeniable and they’re fun to watch. Josh Donaldson hit another bomb, second straight day on that taking place. So for those that thought Donaldson was done, he’s playing some good ball of late. Julio Teheran went six innings, allowing just one run. It’s remarkable how solid he can be sometimes – and others he can’t get hitters out.